a tour of the church and helped us to identify the things in a church that make it a special place for Christian people. 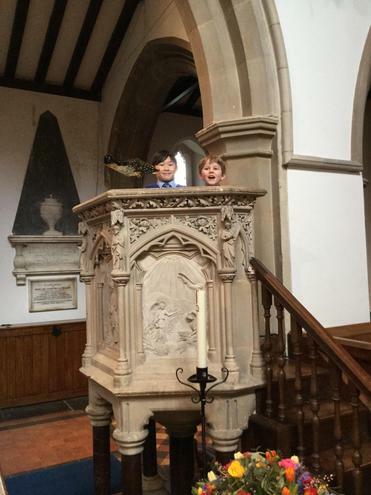 We learned about the font, the altar, the pulpit and enjoyed looking at the stories being told in the stained glass windows. Thank you to all the fantastic adults who came with us and to Reverend Jeremy for being so welcoming.